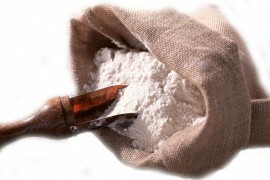 Modified starch is a specifically processed starch which, due to its composition, is better digested. It may be used in the production of infant food, ketchup, sauces, mayonnaise, meat products, while ensuring due thickness of the products. Modified starch is produced from natural maize or potato starch! The use of a selection of modified cooked starches produced by КМС ensures a higher functional effectiveness than of a native starch. КМС has developed a wide range of starches in order to recognize general and individual needs of the consumers. Е 1422. It is a chemically modified potato starch (cross-linked esterified distarch adipate). It is specifically developed for use in ketchups, but can be also used in the production of mayonnaise, milk and meat products. ColdSwell (Е1422) is a new line of КМС’s starches swelling in cold water. ColdSwell differs from the traditional pre-gelled starch by the integrity of starch granules, which ensures the high functionality and efficiency of the starch. It is used in the production of mayonnaise of medium to low fat content, creams, fillings for baking, sauces and instant soups.